Videographer Cory J. Popp releases his "Best of Philadelphia 2016" video. There have been plenty of notable moments this year in Philadelphia, and videographer Cory J. Popp has all of them archived. The Philly-based artist released his latest video Tuesday morning, and it is appropriately titled "The Best of Philadelphia 2016." 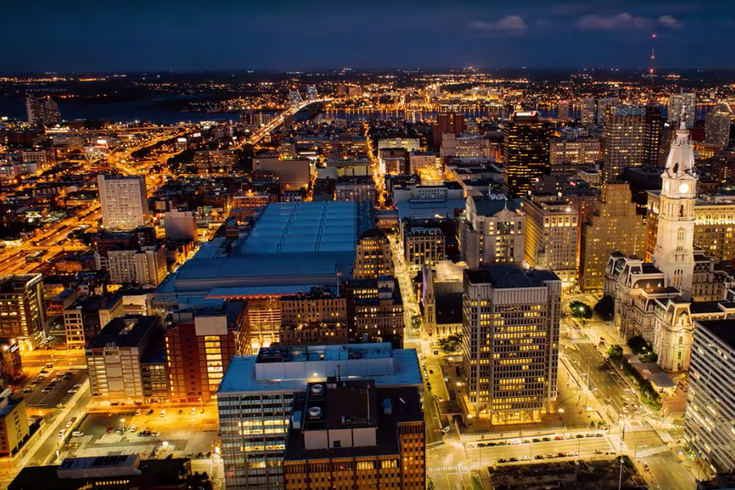 The 2-minute, 13-second-long compilation shows many of Popp's signature skyline timelapses, scenes of Rittenhouse Square Park, the Philadelphia Museum of Art, 30th Street Station and more, but also a number of scenes that can't be replicated come the new year. Popp has footage of the Democratic National Convention that was held in Philly in July, along with the January blizzard that coated the city with 22 inches of snow, making it the fourth-largest snowfall in the city's history. There are some other scenes that tug at your heartstrings if you pay attention – Popp shows skateboarders in the iconic LOVE Park, once a mecca for the activity, before it underwent construction. There are also scenes of the Reading Viaduct, soon to become the Viaduct Rail Park. Officials broke ground on the $10.3 million project in the beginning of November. With Phase One expected to be completed by 2018, Gov. Tom Wolf has compared the future project to New York City's popular High Line.